The table features sturdy lock rod construction at the foot and head section, with “twin lift” stability and open base design. It also consists of four retractable castors for easy movement around the clinic and adjustable levelling feet to ensure stability when positioned. 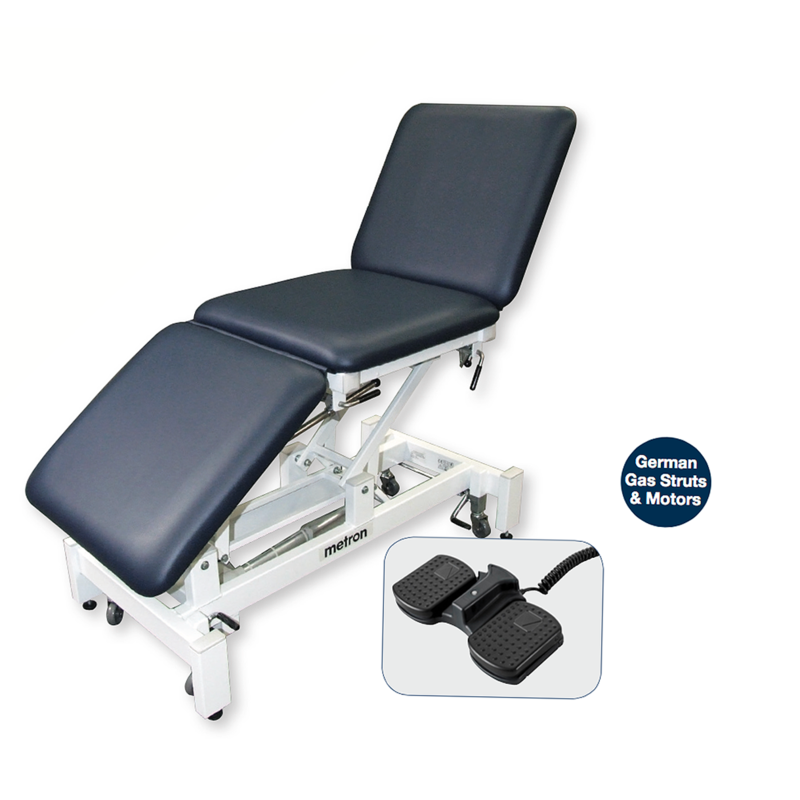 The table has an extremely low minimum height to allow easy access for all patient types as well as a maximum height to suit all practitioners. In addition both the head and leg section have a wide range of angles available. The upholstery sections are constructed of dual layers of foam, with the lower layer (38mm) being of a high density for support and stability and the upper layer (12mm) of softer foam for patient comfort. Solid MDF construction adds to the strength of the upholstery sections.